A golden rule of cooking = less mess, less stress! 1. 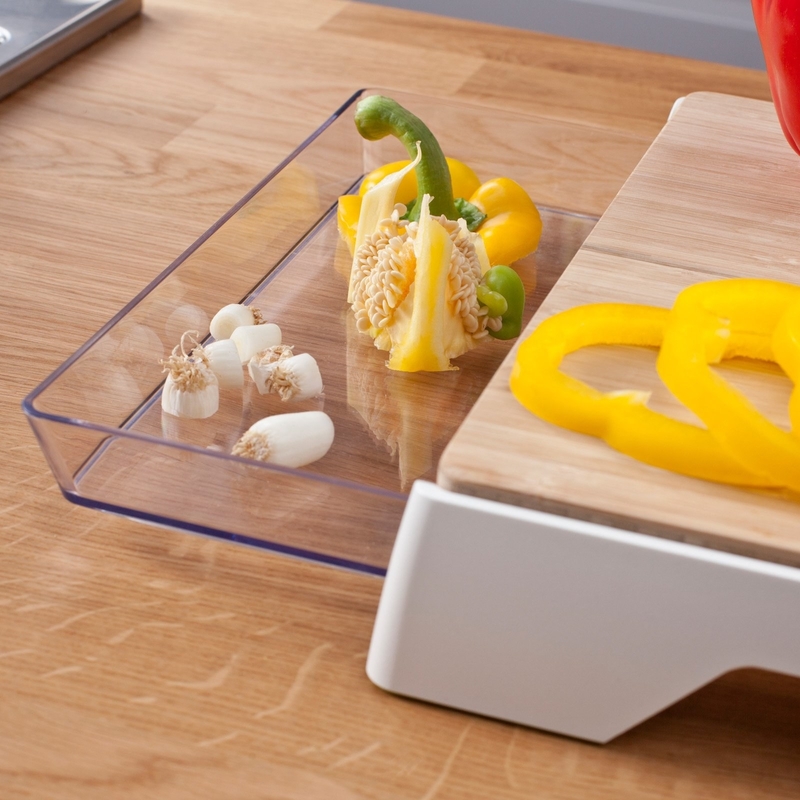 A bamboo cutting board with a sliding tray so you can throw in scraps or sliced food as you go. Get it from Walmart for $22.50. 2. A reusable non-stick oven liner to catch drippy pie filling and turkey grease before they become baked-on, impossible-to-scrub-off disasters. 3. A non-stick poaching tray for a neat and easy way to make poached eggs. 4. A manual food chopper and slicer set because cutting ingredients with a knife (especially tomatoes and avocados) can get sloppy. This 13-piece set includes an all-in-one lid, an attachment lid, a hand guard, a non-skid bowl, a salad spinner attachment, a yolk separator, a kitchen slicer, an egg beater blade, a zesting blade, a grating blade, a slicing blade, an ultra-fine julienne blade, and a regular julienne blade. 5. A handy clip-on strainer so you won't accidentally pour pasta down the drain. It's made of BPA-free, heat-resistant silicone and dishwasher-safe. Get it from Walmart for $9.48. 6. 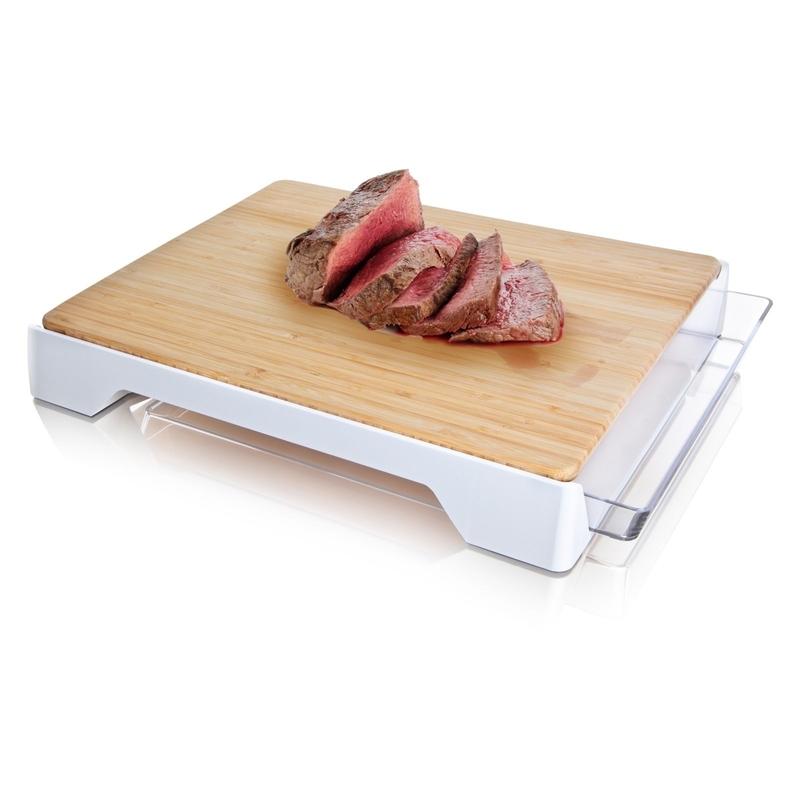 An acacia wood cutting board with deep juice grooves and a large cavity to prevent scraps, juices, and crumbs from escaping onto your countertop or floor. Get it from Walmart for $45.99. 7. A non-stick splatter guard that'll prevent bacon grease from flying all over your stovetop. It's super easy to clean off. Get it from Walmart or Jet for $8.25. 8. An organizer rack for giving you easy access to every pot lid, frying pan, and baking tray. Get it from Walmart for $7.29. 9. A lazy Susan so you don't have to empty out an entire cabinet to find the spice you want. Get it from Walmart or Jet for $8.32. 10. A rotating cookbook holder with an acrylic screen to shield the pages from splashes. 11. 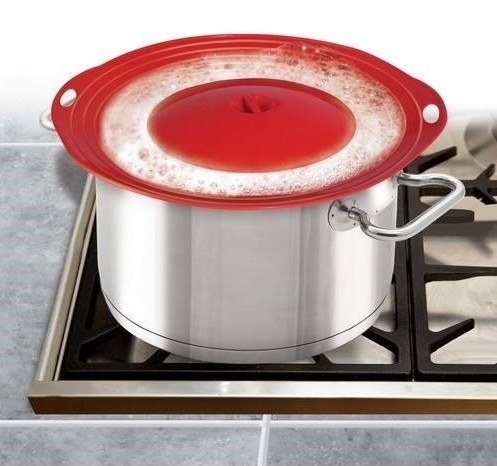 A boil-over guard that can stop spills (resulting from cooking pasta or heating milk) before they happen. 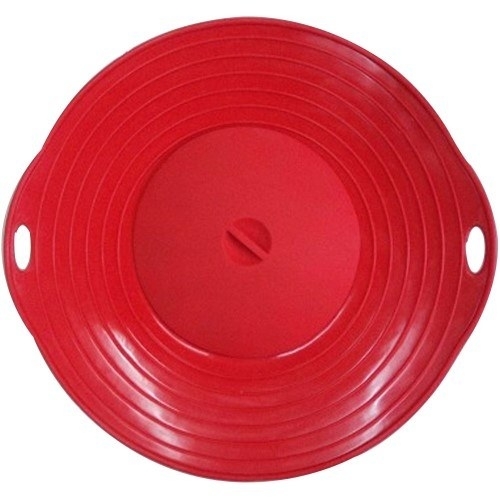 It fits cookware from 6" to 9" in diameter and is heat-resistant up to 400°F. It's also dishwasher-safe. Get it from Jet for $7.75 or Walmart for $9.83. 12. A value pack of Scrub Daddy sponges for dislodging stubborn stains — they'll work on dishes, pots and pans, as well as appliances. They're odor-resistant but you can also toss them in the dishwasher and washing machine for sanitizing. They're safe for use on wood, plastic, copper, cast iron, fiberglass, stainless steel, vinyl, car exterior paint, non-stick coatings, and glass. Get an eight-pack from Walmart for $17.51 or Jet for $18.05. 13. A pretty apron you'll actually want to wear, especially because it'll protect your clothes from splatters. It's made of 100% cotton and machine-washable! 14. A stainless steel rack to rest your pot lid and spoon on instead of in the sink or on the counter. Get it from Walmart for $10.14. 15. A bottle of plant-based all-purpose cleaner that'll smell amazing (like lemon, thyme, and basil) so you might dread cleaning a little less. Get it from Jet for $3.99. 16. A flexible pot clip for holding your cooking utensil and keeping your countertop sauce-free. Get it from Walmart or Jet for $7.44. 17. A hanging trash bag holder so you can easily sweep garlic and potato peels off the counter instead of letting them pile up. Get it from Walmart for $7.15. 18. A set of glass mixing bowls to give every ingredient its own place and make food prep a lot less chaotic. 19. An oil and vinegar dispenser set with drip-free spouts that won't leave little puddles outside your salad bowl. Get them from Walmart for $19.49. 20. A set of flexible silicone funnels for transferring liquids because it's just not worth the risk to go without one. Each set comes with three funnels. They're heat-resistant up to 500 degrees and dishwasher-safe. Get them from Walmart for $5.97. 21. A no-mess waffle iron (with a deep grid design and built-in overflow channel) so you never have to worry about excess batter seeping out. It comes with a measuring cup. Get it from Walmart or Jet for $22.39. 22. A collapsible tub to load all the dirty dishes into so they're not cluttering up the sink. Just set them aside to soak until you're ready to wash them. 23. An over-the-sink colander + cutting board that'll save you both time and counter space. Get it from Walmart for $19.14. Cooking can actually be relaxing when the kitchen is clean!